Following last year’s amazing breakthrough event: KulimeLA 2009 – 20th Anniversary of the Los Angeles International Gurukuli Reunion, we are proud to start a new tradition with our gatherings. Please join us on Saturday July 31st, the day before the Festival of the Chariots, to enjoy an afternoon of reconnecting with friends and enjoying the only 360° view of all metropolitan Los Angeles! This year, the reunion will be held at a new park called Blair Hills Park, with a back trail entrance into a hilltop area with a spectacular view known as the Baldwin Hills Scenic Overlook. Entrance located off Jefferson Blvd. several blocks east of the original Culver Park on Duquesne Ave.
We will have an informal gathering, picnic, sports, activities for children, Bhajans, and Prasadam. Lunch will be provided at approximately 1:00 pm. The annual reunion photo will be at 3:00 pm at the Scenic Overlook, after which time all are invited for Harinam in Santa Monica at the Promenade after 5:00 pm; followed by an informal gathering at Dockweiler beach in Playa Del Rey for a bonfire, if there is sufficient interest. 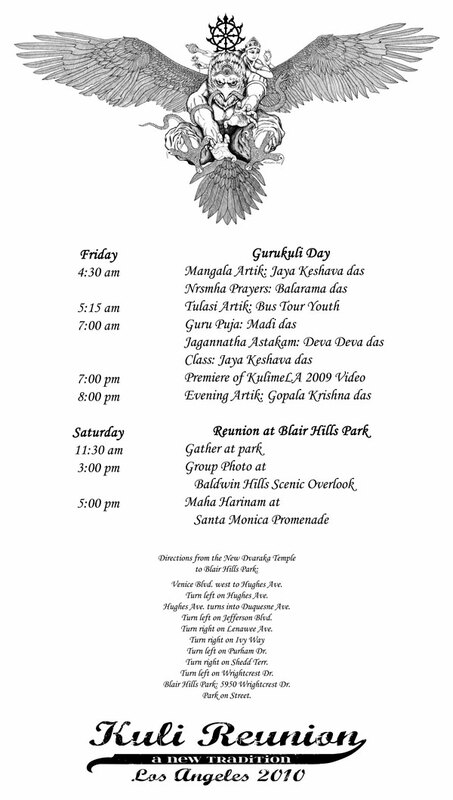 Of course, Lord Jagannath is at the heart of our gatherings, so the following day is the 34th Annual Festival of the Chariots (Ratha Yatra) which will be held on Sunday, August 1st at Santa Monica and Venice Beaches. All are welcome. The Reunion is free. 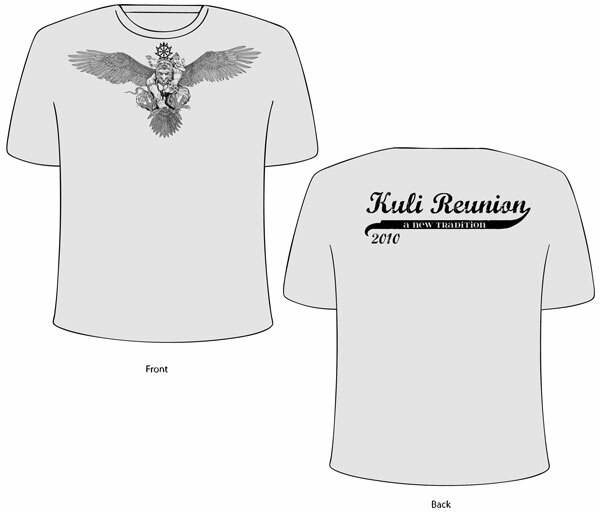 Limited-edition reunion t-shirts will be given to anyone who volunteers a little of their time to help. T-shirt designed by Mahanta prabhu and Rasikananda dasa. Kuli Reunion organizers: Kamal Vyas, Sridevi Fournier, Ram Prasad & Shakuntala Zakheim. This event is sponsored by the Kulimela Association, a 501(c) Non-profit organization dedicated to serving an international community by supporting and encouraging its members to come together as friends in service, association and empowerment with a focus on spirituality. In his article titled, “Mini Skirts… Skirting the Issue,” Kapila, one of the lead organizers of the Kuli Mela Association, eloquently and succinctly elaborates on the moods, mindsets and intentions behind the events. 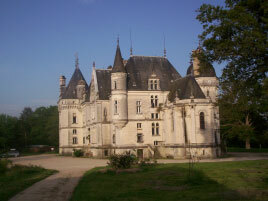 He also offers more details about the Gala Evening at the Ford Theater from KulimeLA 2009. 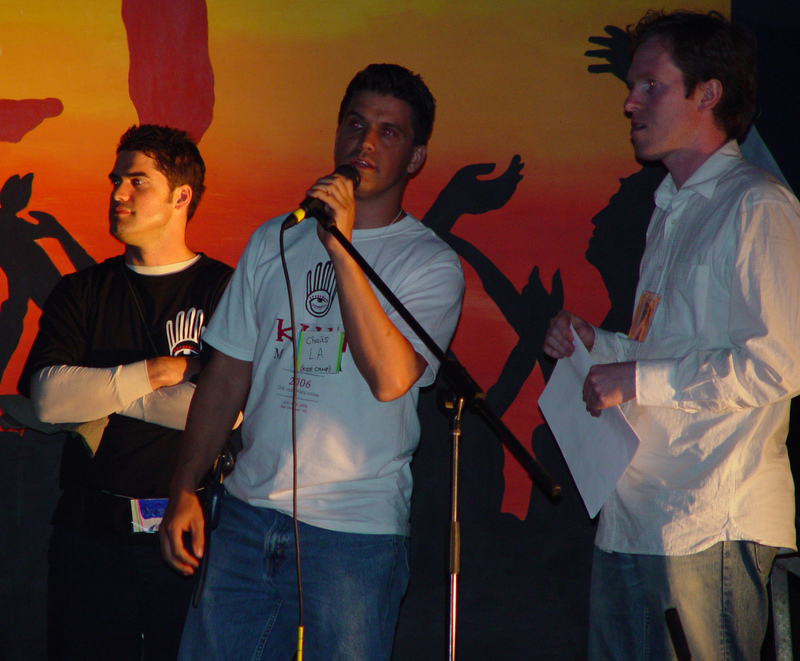 Recently we released the Ford Theater video on the Internet and it seems an elaboration is needed to explain some of the deeper contexts of the Melas, and the 2009 Gala Evening in particular. There’s a lot of history contained in that video and it might be a challenge for some to understand and appreciate it without more information. Rupa is graciously hosting all the Kuli Mela videos on his website. 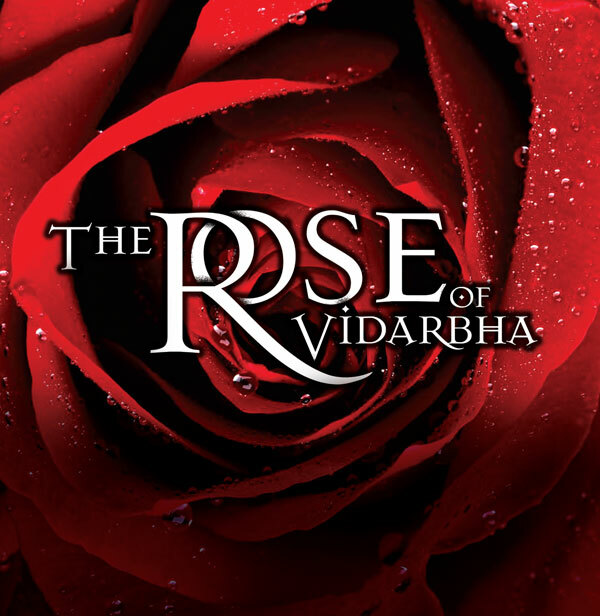 Intrigue, heartache, deception, romance, humor, and triumph mark Krishna’s epic quest to marry His beautiful queen Rukmini and become King of Dwarka. Click here to visit the Kuli Mela Outlet @ Krishna.com and to view the growing selection of Kuli Mela DVDs and CDs. The Kuli Mela Association is a 501(C)(3) non-profit organization dedicated to serving an international community by supporting and encouraging its members to come together as friends in service, association and empowerment. Written by Kapila and originally posted at the Sampradaya Sun website on July 9th, 2010. This is an excellent article about Kuli Mela. In it Kapila, one of the lead organizers of the Kuli Mela Association, eloquently and succinctly elaborates on some of the moods, mindsets and intentions behind the events. 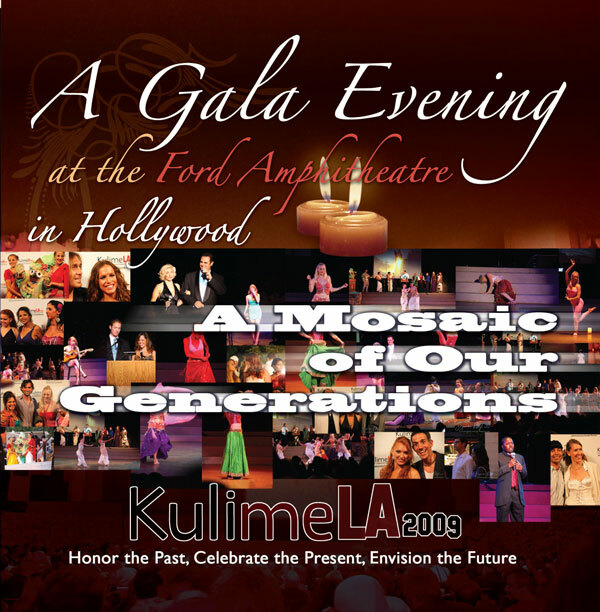 He also offers more details about the Gala Evening at the Ford Theater from KulimeLA 2009. Recently we released the Ford Theater video on the internet and it seems an elaboration is needed to explain some of the deeper contexts of the Melas, and the 2009 Gala Evening in particular. There’s a lot of history contained in that video and it might be a challenge for some to understand and appreciate it without more information. To celebrate the 20th anniversary of the Los Angeles International Gurukuli Reunion, an annual gathering of second-generation Hare Krishnas, over one thousand Vaishnavas from around the world came together to share in an amazing cultural experience. Click HERE to visit the Kuli Mela Outlet @ Krishna.com to purchase copies of the Kuli Mela DVDs and CDs.